Chris Devins is an artist/urban planner who creates outdoor art exhibits designed to attract tourists and increase community pride. 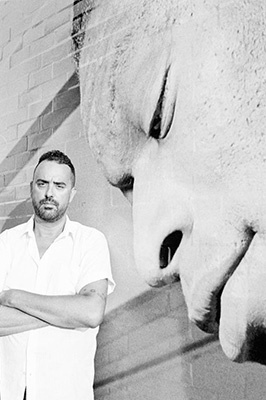 One of his many projects is the Bronzeville Legends Initiative, which is designed to transform the community with a public art installation that reaffirms its identity. Recently, Devins has been working to create a large outdoor mural of First Lady Michelle Obama that will be installed at Chicago’s Bouchet School, a South Side school the first lady attended as a child. Illinois is leading the Midwest in investments in parks, recreation and education according to the most recent report on national rankings from the Commission on Government Forecasting and Accountability. Illinois far outranked fellow Midwestern states in spending on parks and recreation. Illinois ranks third in the nation in overall spending on parks and recreation and fifth on a per capita basis. None of the other Midwestern states broke the top 20 in this category, with Iowa coming in next in the Midwest at 21st on a per capita basis. Indiana and Kentucky rank 50th and 48th respectively. Parks and recreation opportunities in the state enable residents to lead a more healthful and active lifestyle and can spur economic development through tourism. The most recent data shows that Illinois is spending above the national average on elementary and secondary education and is leading the Midwest in this category as well. Illinois ranks fifth in the nation for the amount spent on elementary and secondary education. This spending includes both money from the state and property tax revenues. Illinois is followed by Ohio and Michigan, ranked 8th and 10th respectively. By investing in our youth, Illinois is investing in our future. 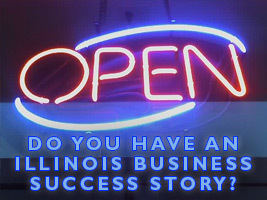 The Commission publishes several reports each year, including special topic reports that have or could have an impact on the economic well‐being of Illinois. All reports are available on the Commission’s website. Did you know? 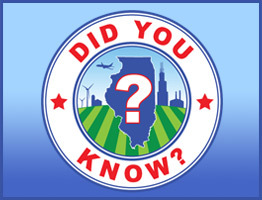 Illinois is home to the only river in the world that flows backwards. 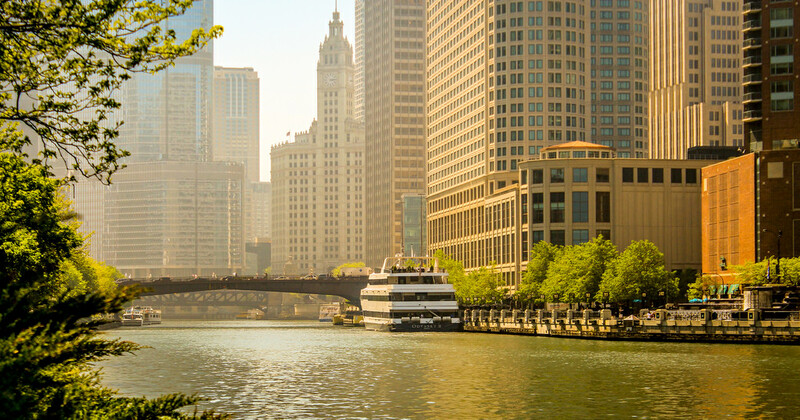 The Chicago River, known mainly for the different colors it is dyed to celebrate different events and holidays, has been a hallmark of Chicago since the earliest days of the city. The first European to permanently settle in Chicago, Jean Baptiste Point du Sable, built his farm on the north shore of the river’s mouth. Fort Dearborn, the first American settlement, was built right across the river at the south shore of the mouth. Most people don’t know that the river flows backwards. To combat the pollution of the river caused by the growing industrial city, the Sanitary District of Chicago made efforts to reverse the flow of the river. The greatest of these efforts began in 1900. Building a system of locks and canals, the District reversed the flow from Lake Michigan, diverting the water into the newly constructed Chicago Sanitary and Ship Canal. In 1999, the American Society of Civil Engineers named the Chicago River flow reversal the “Civil Engineering Monument of the Millennium”. Today, the Chicago River system includes the North and South Branches along with the Main Stem of the Chicago River. Additionally, the North Shore Channel, the Sanitary and Ship Canal and the Calumet Sag Channel make up 52 miles of the river’s constructed waterways. If you are interested in learning more about what the Chicago River has to offer, you can visit the website of Friends of the Chicago River. The Chicago Board of Trade was created on June 10, 1848 at a time of great economic and industrial growth in the United States. 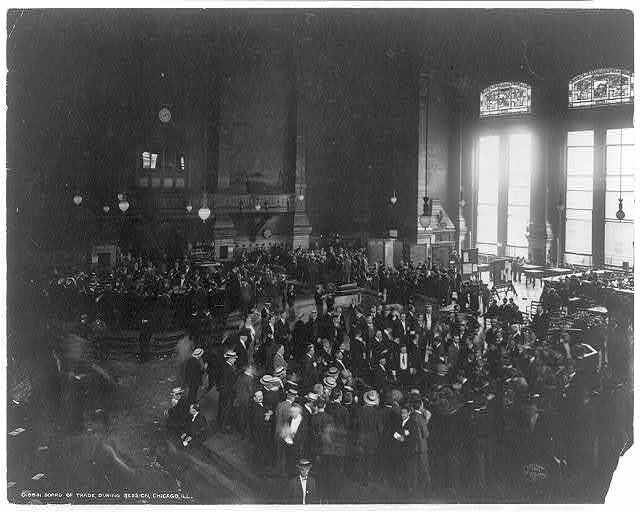 CBOT, as it is known, became a central meeting place for the buying and selling of agricultural goods, improving the lives of Illinois farmers by distributing their products on a large scale. The floor, commonly referred to as “The Pit,” would often be filled with hysterical traders, bushels of grain, oats, barley, soybeans, corn, wheat and silver. In the pit, CBOT traders utilized hand signals and shouts known as “open outcry” to share information. The original building that housed the Chicago Board of Trade was destroyed in the Great Chicago Fire of 1871, along with all financial records. After the fire, the building was reconstructed, but the location of the trading floor was moved to LaSalle Street in 1929.